"'I am an artist, but not the artist of this,'" Mr. Büchel said. Instead, he said, MAGA endorses the concept that Americans, by electing Mr. Trump, allowed his obsessions to be given form that qualifies as an artistic statement. The fact that the prototypes were designed and built by six private contractors matters less, he said, than the impression that, upon completion, they constitute an unintended sculpture garden willed into existence by the president and his supporters. "'This is a collective sculpture; people elected this artist,' Mr. Büchel said." The 51-year-old artist has never shied from controversy. His contribution to the Icelandic Pavilion at the 2015 Venice Biennale, a mosque erected inside a vacant Catholic church, was shut down by the city over security concerns. Before that, Training Ground, a vast installation planned for the North Adams, Massachusetts contemporary art museum MASS MoCA was cancelled when the relationship between the institution and the artist over the unfinished work. A lengthy court battle ensued. The Architect's Newspaper (AN) is reaching out for more information on MAGA and Büchel's project, and will update readers with more details as soon as possible. 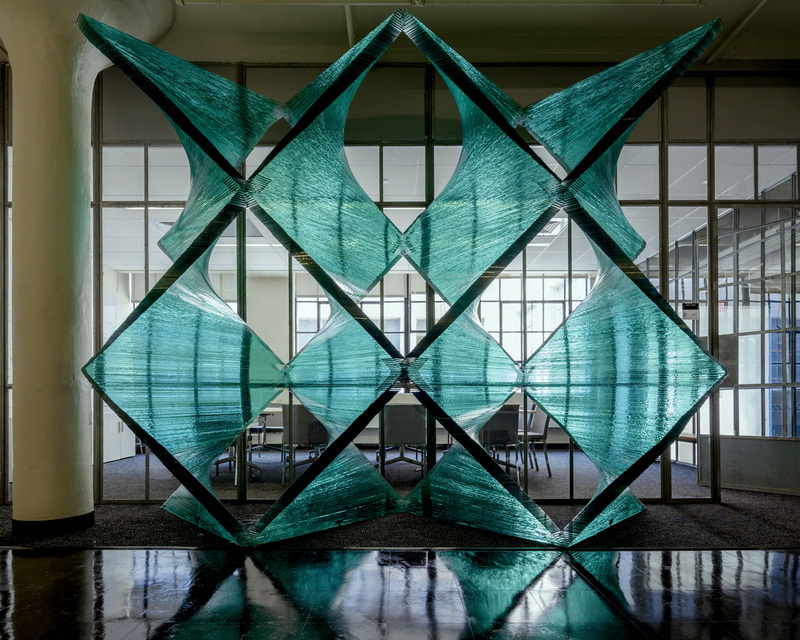 Architect and educator Cristina Parreño’s ongoing research project at the Massachusetts Institute of Technology is called “Tectonics of Transparency” and it's challenging the “generic-ness” of glass in construction today. 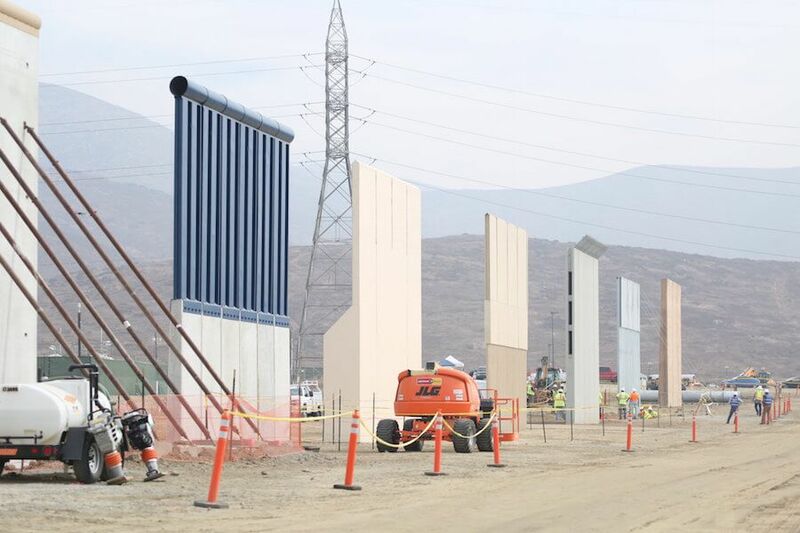 The project is being realized through a unique format of prototypes divided into three formal categories: the Wall Series, Tower Series, and Shelter Series. Each type is further broken down into scales: a “model scale” of 8-cubic-feet, and an “installation scale” of inhabitable size. The format allows for experimentation with technique, and for multiple funding sources to support various components of the project. Parreño pinpoints her interest in expanding the role of glass to a 1950s patent on “float glass” by Pilkington, who developed a process for efficiently manufacturing large flat sheets of the material. “Despite its potential, modern technology didn’t fully exploit the multitude of material attributes offered by glazing, which in a flat, planar state can only be used as a non-structural infill,” Parreño told The Architect's Newspaper (AN) in an interview. “When expanded to a greater depth, glass acquires multiple properties that expand its role beyond that of a transparent or translucent infill. If we attend to some of these properties—which are not fully exploited when glass is presented in its planar state—we can begin to foresee another type of depth between the two sides of the material.” Parreño’s prototypes are primarily interested in exploiting the material’s compressive strength, along with producing new tactile and visual effects. Snøhetta’s 656-foot-tall Gateway tower, 93 miles east of Dubai, will mark the entrance to the new planned capital city of the United Arab Emirates, Ras Al Khaimah. Inspired by the surrounding desert and mountain landscape, the project’s undulating form will bring almost 3 million square feet of mixed-use space to the city, which is being master planned by Netherlands-based firm OMA. Snøhetta has designed a prototype of the building’s white-scaled skin in collaboration with Dubai-based lightweight composite manufacturer Premier Composite Technologies (PCT).